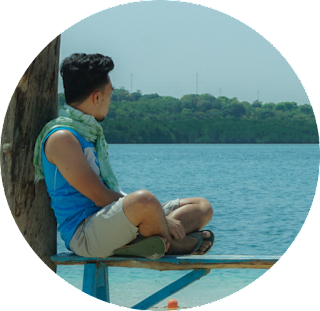 Shaped similarly to a guitar's body, having an area spanning about 700 hectares covering 6 barangays, it is the only natural freshwater lake in the Camotes Islands and the largest not just in Cebu but in the whole Visayas region. Ladies and gentlemen, Cebu province's Lake Danao! 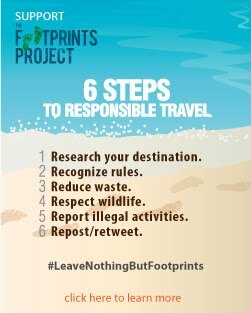 Sits in the northern part of Pacijan Island, same island where Santiago White Beach is located, the lake can be accessed through Lake Danao Park, an eco-tourism and educational facility in San Francisco (Camotes). The park is not the only entry point to access the lake but it was the one developed and maintained by the local government while the other parks are privately owned. 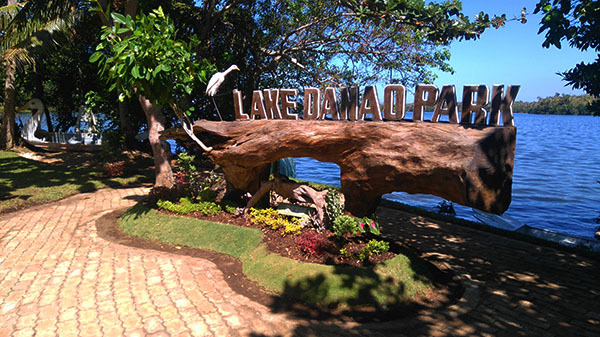 Lake Danao Park offers activities perfect for every members of the family and barkada. 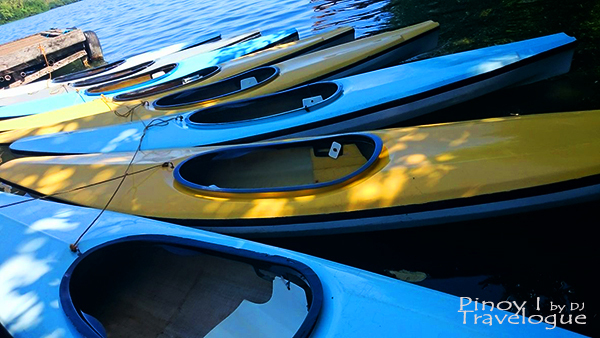 Horseback riding, kayaking and boating to name a few. It might consume a day to carry out every activity on the park so we just picked one that beguiled us the most, aside from taking tons of selfies. 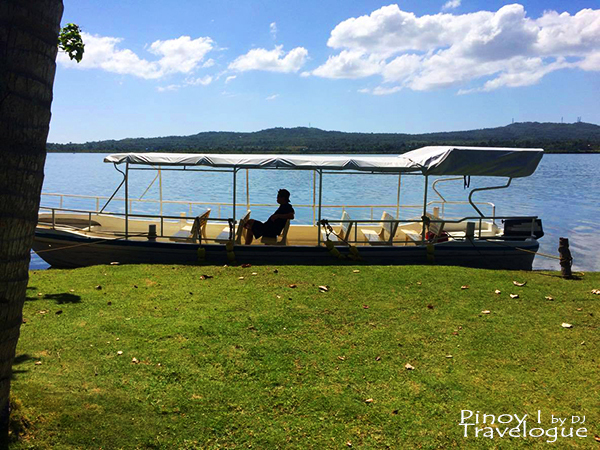 Lake Danao Park operates two motor-powered boats. Sakanaw, as they call the larger one, accomodates tourists for a one-hour cruise around the lake. However, sakanaw had just set sail when we arrived so we took the speedboat which brings park visitors straight to the lake's distinguishing feature, one of the two teeny-tiny islets within the lake itself. Both rides give guests a chance to step on these islets. Boat ride bound to the islet took about 10 minutes from the verdant lake bank. Speedboat could accommodate up to 10 passengers and the ride only cost us PHP 50 each since we maxed out its capacity. It was on a sweltering afternoon when we arrived, but the shady trees of the grassy islet complemented by the lake breeze cooled it down. With about a size of a basketball court, there was nothing much to do on the islet. 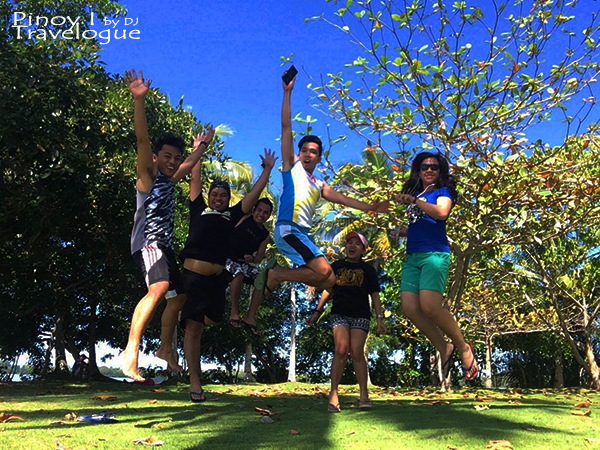 But it was a surefire way to get in touch with nature undisturbed and the best of it all, an opportunity for a wacky jump shot and a perfect selfie. 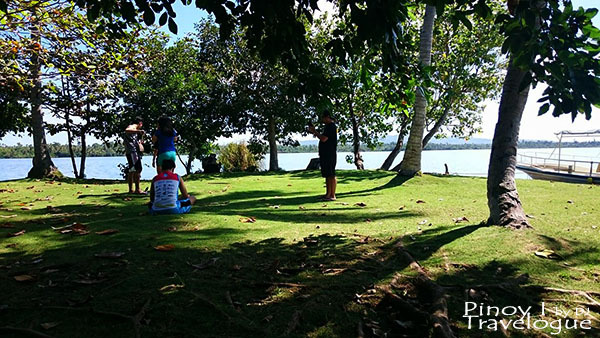 Lake Danao Park is a perfect hangout for families and barkadas, and a relaxing destination for tree huggers and laid-back travelers. 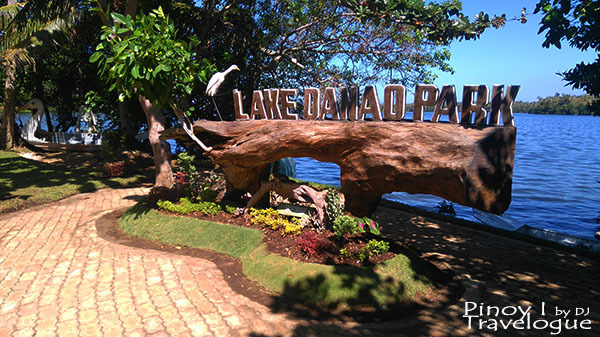 For its romantic appeal, the serene Lake Danao was dubbed as the Lover's Lake, an amorous venue for dating couples. 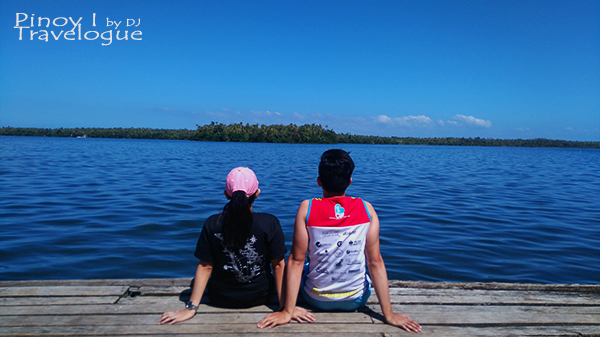 Our visit to Lake Danao lasted for just an hour as it was only a part of our one-day tour around the islands of Camotes. A glimpse of the lake's tranquility tells the good in city living. Daily hustle and bustle of city life tends to make people long for untroubled environment, thus quickly appreciate the elegance of nature even in just a quick trip.